The ICCLab has now a new testbed for their work/research in the Cloud-Computing field at no other location than the datacenters of Equinix – one of our collaboration partners and generous donor of the rackspace – in Zurich. We received* a no longer used but nonetheless working and good system. 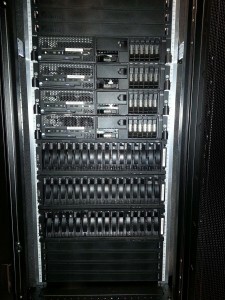 The hardware was ramped up and sits now nicely installed and configured in their racks. The pictures will give you some impressions. They depict one part of the whole setup. 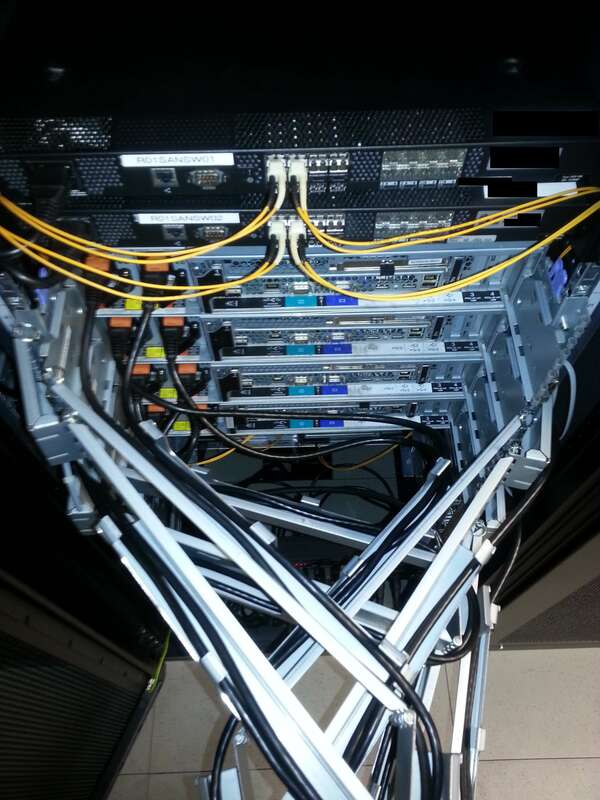 The backside view shows a still clean view before the bigger part of the cabling was done. This system offers us new possibilities and can and will be used wherever seem fit in already running or upcoming projects. A major plan is to use this system for participation in the FI-WARE project respectively to set up a FI-WARE testbed, participate in XIFI and the upcoming Open Innovation Lab (OIL) and with that become part of the distributed cloud for FI-WARE. FI-WARE, XIFI and OIL are all part of the Future Internet Public-Private Partnership (FI-PPP) program which is a large European project for Internet-enabled innovation. In this context FI-WARE builds the technological foundation of FI-PPP while XIFI and OIL provide the infrastructure needed to test and build services upon it. *Thanks to the donor, a here undisclosed public institution. 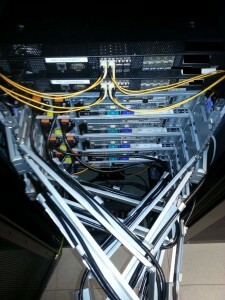 This entry was posted in News and tagged Datacenter, Equinix, icclab, OIL, Open Innovation Lab, XIFI by Sandro Brunner. Bookmark the permalink.